LILESVILLE – Mrs. Beverly Jean Goodwin Freeman, 79, died Monday, July 23, 2018 at Anson Health and Rehab in Wadesboro. 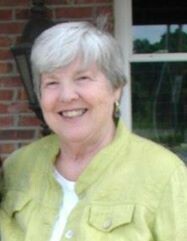 Her family had the wonderful blessing of surrounding her as she peacefully transitioned to her Heavenly Home. Funeral services will be 11:00am Friday, July 27, 2018 in the Chapel of Leavitt Funeral Home. Interment will follow in Olivet United Methodist Church. The family will greet friends from 5:00pm until 7:00pm Thursday, July 26, 2018 at the funeral home and other times at the home of Michael and Carla Freeman. Beverly was born February 8, 1939 in Anson County, NC and was a daughter of the late Joe Sharpe Goodwin and the late Sadie Ross Downer Goodwin. She was a 1957 graduate of Lilesville High School, where she was known for being a star basketball player maintaining the highest points scored average for the Lilesville High School Girls Basketball Team. Beverly later earned a Bachelor of Science Degree in Business in 2000 from Gardner Webb University. This was certainly an accomplishment at the age of 61. Beverly worked for many years in textiles, followed by a number of years at Carl’s Food Center, Zimmer, and eventually retiring from the Anson County Health Department. She also supported her husband Jim when they owned and operated Freeman’s Plumbing and Heating Company. Her Christian Foundation started at Gums Springs Baptist Church when she was a child. However, she became a life-long member of Olivet United Methodist Church, which is the home church for the Goodwin family. In church activities, she was involved with, WMU, MYF and Vacation Bible School. Norm Jones, a former minister at Olivet, started a prayer group, PERK, “Pray Every Day Round Koffee” that meets at The Old Store in Lilesville. She enjoyed being a part of the group. Beverly, while her children were growing up, was a 4-H Leader, Club Scout Den Mother, Little League and Band Mother. Working to coordinate church beach trips was always a fun time for Beverly and the entire Olivet Church Family. She supported her children and grandchildren in their extracurricular activities. She was a serious Kenny Rogers and Elvis Pressley fan; actually, she and her friend Gerry were known as regulars by Kenny when they attended concerts. Crafting was one of her most enjoyable hobbies. She made quilts, baskets, and decorative dish towels, cross stitching, ceramics and jewelry making. . In more recent years, she enjoyed participating in the Brown Creek Craft Group. Beverly also enjoyed growing and preserving vegetables from the family garden. Her family enjoyed homemade desserts, jams and jellies made with love by their mother. Surviving are her children, James “Jimmy” (Terry) Freeman, Jr., Michael (Carla) Freeman and Janet (Tim) Clark all of Lilesville; her grandchildren, Amanda (Ryan) Morgan of Morven, Amber (Brad Broadaway) Freeman, Samuel Freeman and Sadie (Aaron) Shaver all of Wadesboro, Brandon Freeman, Logan Clark and Lucas Clark all of Lilesville; her great-grandchildren, Hailey, Grace, Gracie, Lexie, Walt and Gage; her sisters and brothers, Millie (Jerry) Burkett of Mt. Pleasant, Mary Ellen (Freddy) Goodwin of Holden Beach, Donnie Goodwin of Rockingham, and Mike (Debbie) Goodwin of Lilesville; her sisters-in-law and brothers-in-law, Ann Goodwin of Lilesville, Charles (Pat) Freeman, Steve (Sheri) Goodwin and Donald (Jobie) Goodwin all of Wadesboro, David (Julia) Freeman of Jacksonville and Lela Spriggs of Belhaven. She is survived by many nephews and nieces; all of whom she loved dearly. Also surviving are her chosen children, Mitzi (Joe) Goodwin, Jimmy Downer, Mark Downer, Tanda Eppolito and Baine Downer; her aunts and uncles, Louise Downer. Martha D. Goodwin of Lilesville; Eugene Freeman, Wadesboro, Peggy (Bill) Talent of Norwood and Harold (June) Goodwin of Jacksonville, FL. In addition to her parents, she was preceded in death by her husband, James L. “Jim” Freeman; her special parents, John Goodwin and Mildred; her brothers and sister-in-law, Walter “Buddy” and Martha A. Goodwin, Kress Goodwin. her brother-in-law, Ric Spriggs, and her dear friend, Gerry Rorie. The family would like to express their sincere appreciation to Rev. Jodie Campbell and the Olivet Church family for their love and support of Beverly during her time of declining health. They would also like to thank staff of Anson Rehab for the wonderful and compassionate care provided to Beverly. In lieu of flowers, memorials may be made to Olivet United Methodist Church, c/o, Mrs. Martha D. Goodwin, 3788 Stanback Ferry Rd., Lilesvile, NC 28091.